Canadian teenager Bianca Andreescu needs one more win to reach the main draw of a Grand Slam tournament for the second time in her career after getting through the second round of Australian Open qualifying on Thursday. Andreescu, 18, made short work of Valentini Grammatikopoulou, winning 6-4, 6-1. The Canadian, who is seeded fourth in the qualifying tournament, now faces 26th-seeded Tereza Smitkova. The winner earns a spot in the Australian Open women's singles event, which begins in a few days. Andreescu has risen to No. 107 in the world rankings after reaching the final of a tournament last week. She upset a pair of former world No. 1s along the way in Caroline Wozniacki and Venus Williams. 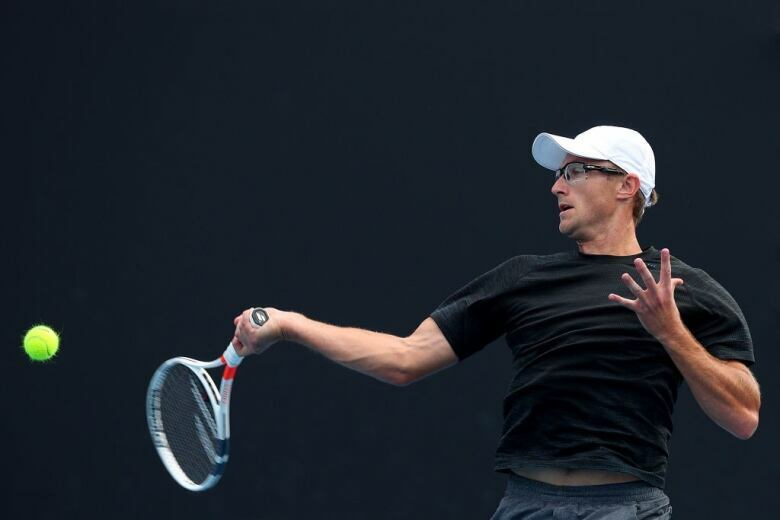 Canada's Peter Polansky advanced to the third round of the men's qualifying tournament of the Australian Open, downing Slovenia's Blaz Rola 6-2, 7-6 (6), 6-3. Polansky, from Thornhill, Ont., simply avoided more errors to outlast Rola. Rola had three double faults to Polansky's none, 49 unforced efforts to the Canadian's 25 and 10 unforced return errors compared to Polansky's two. Polansky will take on Australia's Thanasi Kokkinakis in the third round of the Grand Slam's qualifying tournament. Earlier, Montreal's Felix Auger-Aliassime fell short in his bid to advance into the main draw of the Australian Open, falling 7-6 (4), 6-3 to American Christopher Eubanks. The 18-year-old Auger-Aliassime, seeded second in the qualifying tournament, never had a break opportunity against his American opponent and failed to defend the only break point he faced in the match, which took one hour 15 minutes to complete. Meanwhile, the seedings for the main draw were released Wednesday night and Canadians Milos Raonic and Denis Shapovalov are seeded 16th and 25th, respectively. No Canadian women are seeded. Novak Djokovic is seeded No. 1 in the men's draw, while Simona Halep is the top seed in the women's tournament.